Over the past 25 years we have been fortunate to work with some great companies and clients. See what they have to say about us. We have been providing professional qualified services on all aspects of building & construction for over 25 years by chartered professionals. If you would like more information about our services and how we can help your project. Contact us, we will be happy to help. Established in 1993, We at Simba Consultants Ltd are specialists in building design, construction, repair, conversion and extensions, both large and small. We have worked on schools, houses and shop units, as well as on large major projects such as apartment developments, office blocks, factories and hospitals etc. 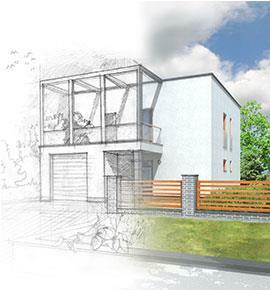 A major element of every building project is the structural engineering. The more efficiently this is designed, the less it will cost to build. Our valued engineered design and detailing ensures that the final structural solution to your project is both efficient and cost effective. We guarantee the savings we make possible in the construction cost on site are always greater than our fees. This ethos is what sets us apart from the competition. "We save you money on your project"